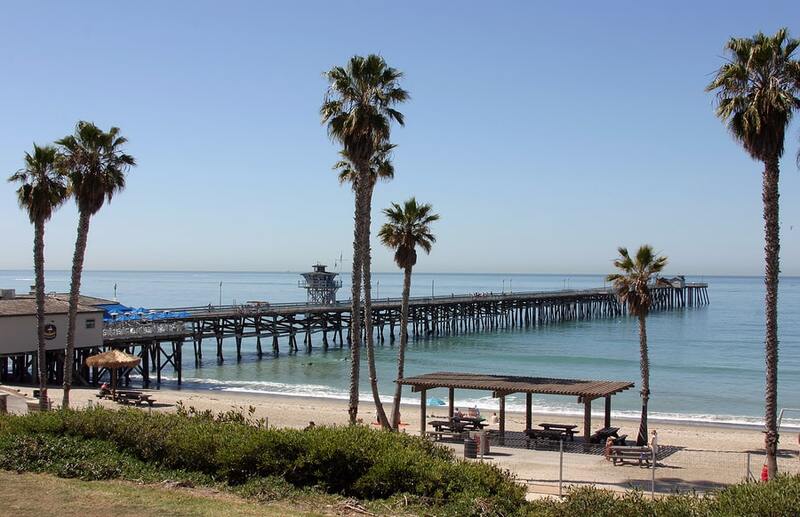 Have you been injured in an accident in San Clemente due to the negligence or recklessness of another driver? If so, you may be eligible to seek compensation for your injuries. Working with an experienced personal injury attorney will help you understand your options and maximize your chances of recovery. Read on for more information. A personal injury case in California must prove that the defendant (at-fault party) owed a duty of care to the plaintiff (claimant); that there was a breach of that duty of care; and that this breach caused harm to the plaintiff. For example, proving liability in a car accident case requires that the plaintiff prove that the defendant had a duty of care to operate his or her vehicle in a safe manner, that the defendant breached his or her duty of care by operating the vehicle in a negligent or reckless manner, and that this breach caused injury to the plaintiff, which resulted in financial damages. California law follows the doctrine of joint and several liability, in which multiple individuals or entities may be liable for a plaintiff’s injuries and each defendant is responsible for the entire amount of the plaintiff’s damages. In auto accident cases, if the claimant is uninsured, he or she is ineligible to receive an award for non-economic damages, such as pain and suffering, unless the at-fault party was operating a motor vehicle under the influence of drugs or alcohol. In medical malpractice suits, there is a cap on non-economic damages of $250,000. The statute of limitations for filing a personal injury claim is generally two years following the date of the accident. However, there are some types of personal injury suits that fall under a different statute of limitations. Medical malpractice cases, for example, must be filed within a year, unless the claimant was a minor at the time of the injury. Claimants in cases in which the at-fault party has been charged in criminal court may have up to ten years to file a civil personal injury lawsuit. Claims filed against a governmental agency in California must be filed within six months from the date of the injury, and a number of additional procedural rules must be followed. California follows a pure comparative negligence rule, which means that if you are at least partially responsible for your accident, you may still recover damages, but any damages award will be reduced according to your percentage of fault. For example, if you were found to be 10 percent responsible for your accident, your compensation will be reduced by 10 percent. Strict liability applies in dog bite cases. The owner of any dog is liable if the dog bites someone in a public place or while the claimant is lawfully in a private place. On-duty government police dogs are exempted from this general rule, so long as the bite occurs during the investigation of a crime or while the police are executing a warrant. A negligence case may also be filed against a dog owner in circumstances where the dog causes a non-bite injury. In product liability cases, where the claimant suffered an injury due to a defective product, anyone in the production or distribution chain for that product may be liable, including a manufacturer of the product, a wholesaler, the entity who assembled or installed the product, or the store that sold it. According to information provided by the Centers for Disease Control and Prevention (CDC), accidents and unintentional injuries accounted for 30.8 million emergency room department visits in 2015, and 92.2 million individuals sought treatment from their personal physicians for such injuries. Unintentional injury is the third leading cause of death in the United States. Unintentional falls caused 34,673 deaths in 2016. In 2016, there were 40,327 motor vehicle traffic accident deaths in the U.S. In San Clemente, 387 victims were injured or killed in traffic accidents, with alcohol a contributing factor in 10 percent of the accidents. On average, 1.7 million people suffer a traumatic brain injury each year. Males, young children, and older adults are those most likely to suffer a brain injury. Falls and motor vehicle accidents are the leading causes of brain injuries. Although males have a higher rate of nonfatal injuries than females, studies have shown that nonfatal injuries among females have been increasing since 2005, especially among non-Hispanic white females between the ages of 45 and 64. As of 2016, unintentional injuries accounted for more than 5 percent of the deaths of infants in the United States. Accidents are the leading cause of death for people 25 to 34 years old. Premises liability cases, which involves injuries caused by an unsafe condition at a private residence, place of business, or public area. The most common premises liability case involves slip and fall injuries; however, others include playground, swimming, elevator, and theme park accidents. Wrongful death cases. These claims are filed against a person or entity whose negligence or reckless actions caused a person’s death. These cases are usually filed by or on behalf of the decedent’s family members. A $1,000,000 settlement for a client who suffered a fractured skull, a traumatic brain injury, and a broken nose when, while working at a construction site, he was struck in the head by a large piece of debris that was thrown from an upper level of the apartment building. Three full days of mediation over the course of several months led to a confidential settlement for the family of a 14-month-old girl who suffered a permanent, traumatic brain injury after hospital nursing staff failed to monitor a shunt that had been used to drain fluid from her brain and skull, which caused a build-up of intracranial fluid in her head. A $2,100,000 settlement for a five-year-old child who lost sight in his eye when he opened an improperly locked maintenance gate that had improperly designed hinges that snapped back as though spring loaded, causing a metal protrusion that was part of the lock to penetrate his eye. The child was forced to endure five months of intense medical treatment and more than ten surgeries. A $1,000,000 settlement for a client who was seriously injured in a car accident after the defendant driver pulled out of a gas station and crossed all four lanes of traffic in an attempt to make an illegal left turn. The force of the collision caused a fire in the plaintiff’s engine compartment. The plaintiff suffered significant first and second-degree burns, lacerations, and a perforated abdomen, and required six weeks of hospitalization following the accident. A $3,200,000 settlement for the family of a man and his 12-year-old daughter, both of who were killed when an out-of-control tractor-trailer careened through an intersection and hit several vehicles, signs, and stores. The driver of the tractor-trailer knew that his brakes were overheating, but continued driving despite a warning that he was going to wind up in a high-traffic area with an improperly maintained vehicle. A $2,575,000 settlement in a medical malpractice case that involved a fall in a hospital. A $4,200,000 settlement for the family of a man killed in a head-on collision between a passenger train and a freight train in 2008. The collision was the worst in U.S. commuter rail history, with 24 people dead due to the negligence of a train engineer who had been reading and sending up to 180 text messages a day while on the job. The court found that the engineer was texting when he went through a stop signal twenty-two seconds before the crash occurred. In addition to the $4.2 million settlement, our legal team also obtained a $975,000 settlement for the adult son of another rider who died in the crash. A $2,675,000 settlement for the widow and young daughter of an off-duty California police officer who was struck and killed in an intersection by an inattentive driver. A $1,290,000 settlement and waiver of a worker’s compensation lien of over $110,000 for a glazier foreman who was injured when a 16-foot long 2×4 piece of wood, which served as a guardrail on the 20th floor of the building he was working on, broke free, fell, and struck him in the back of his helmeted head. The man was knocked unconscious for a brief time and also suffered a fractured spine in the accident. A substantial verdict for a man who fell at a theme park and suffered symptoms that appeared to be the result of a spinal injury. He was taken to the hospital, where he underwent a CT. Medical professionals misread the CT as negative, and thus removed spinal precautions, such as a neck brace and backboard, which caused a shift of a spinal fracture and resulted in permanent spinal injury and paralysis. As one of California’s most respected personal injury law firms, Aitken * Aitken * Cohn is known for impeccable trial skills and aggressive representation of its clients. We have extensive experience litigating commercial lawsuits. We keep the number of clients that we represent small to ensure that we are able to provide our full attention and focus to just a few cases at a time. Aitken * Aitken * Cohn founding partner Wylie Aitken was the youngest president in the history of the California State Bar, which is the regulatory arm of the California Supreme Court responsible for licensing and disciplining all attorneys in the state. Recognition from the Orange County Busines Journal as one of the best places to work. If you were injured in an accident, or lost a loved one due to the negligence and recklessness of another person, contact us today. Call Aitken * Aitken * Cohn at (714) 434-1424, or contact us online, to schedule a free, no-obligation consultation and case review.